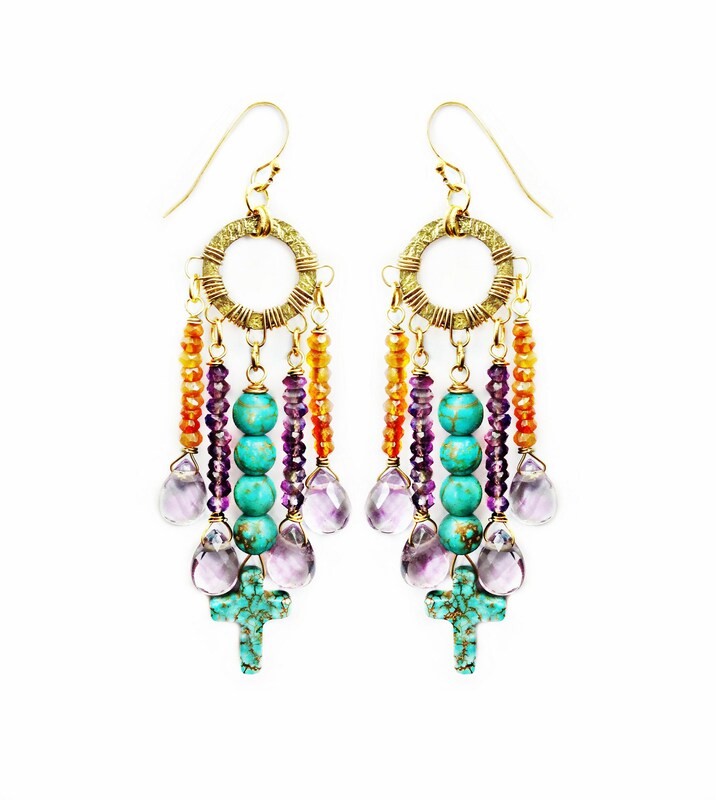 Carnelian, amethyst and turquoise cross earrings. These earrings are 3 1/2 inches in length and 1 inch in width. These gemstone beauties are light in weight and eye catchy. They are the perfect daytime earring as well as evening events. The slight sparkle of amethyst and carnelian beads compliments the bold hues of turquoise. They also make an ideal gift for any occasion.